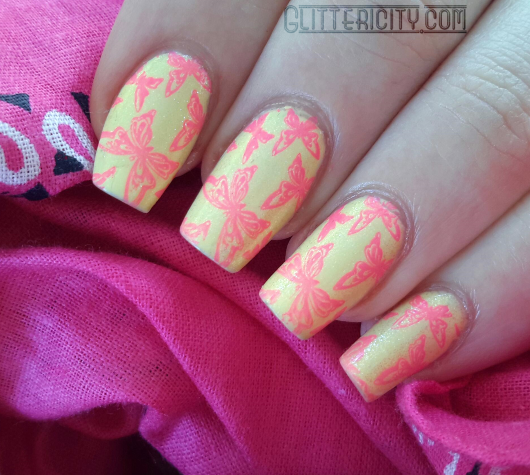 It's quite a warm spring here in sunny Queensland, so I did these bright, cheerful nails to match! They actually aren't as neon as they look in these pics! At least, not the yellow. 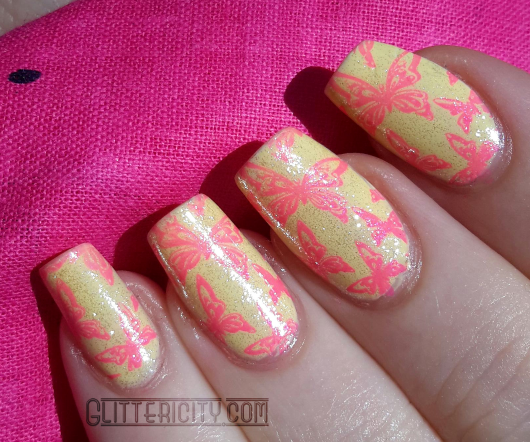 It is Cult Nails New Day, from one of their last collections. Two coats of this creamy, lemony yellow covered perfectly, but I wanted some shimmer, so I added a coat of L'Oreal The True Diamond, from their Magic Topcoat line. 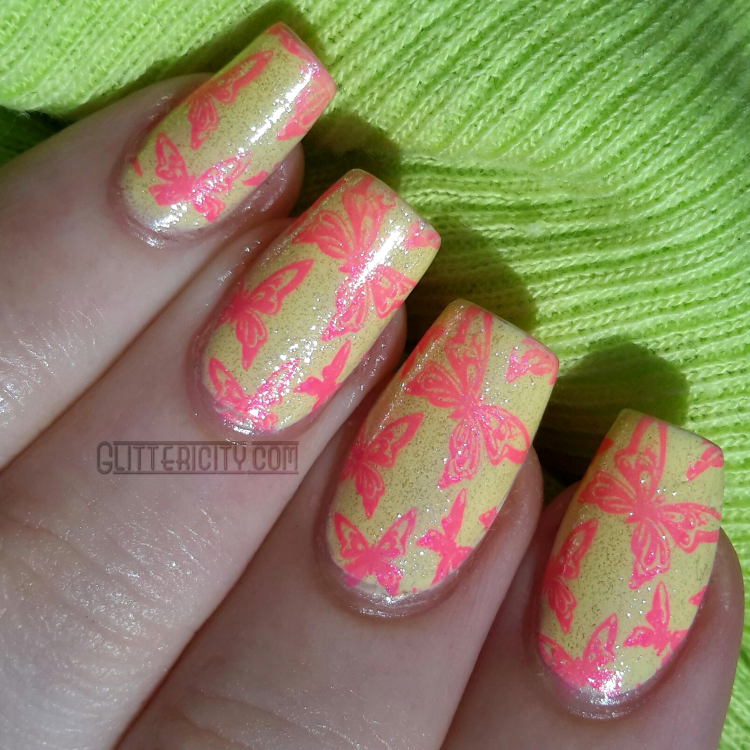 On top of that, I stamped the butterflies from Bundle Monster plate BM-307 with Indie Polish Neon Pink! Yes, you read that correctly--a neon polish that stamps! <3 <3<3 I can't say enough good things about this perfect formula. I need another bottle, ASAP! Anybody else miss Cult Nails as much as I do? T_T Every single polish was always perfectly formulated and looked stunning. I shall treasure the bottles I have for a long time.